Saturn will be joining its friendly planet Venus in Scorpio (Vrischik Rasi) on 13 October 2016 at 13:23 IST. If you are born with Saturn-Venus conjunction in your personal horoscope or a direct Saturn aspecting Venus (Saturn being in 4th or 7th or 11th house from Venus) or a Retrograde Saturn aspecting Venus (Saturn being in 3rd or 7th or 10th house from Venus), then upcoming few weeks can be a big turning point regarding career, love and money. 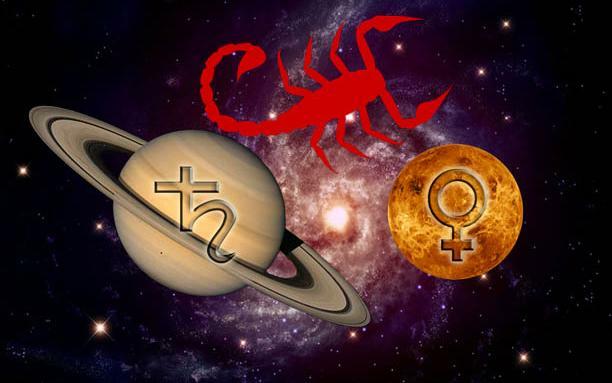 On 30th October 2016, Venus and Saturn will be placed at same degree in Scorpio and this will trigger an oppurtunity to either make some quick money or build a long lasting partnership or finding new love. Saturn was in the company of an unfriendly and dominant Mars in Scorpio for long time this year. Now, with a friend joining it, Saturn will unleash its true potential and can bestow its benefic results to many. This conjunction ends 07 November 2016, when Venus moves into Moola nakshatra in Sagittarius (Dhanus Rasi). Later, a friendly Mercury will join Saturn, but that friendship will be shortlived as Sun will be joining them within a week. Aries (Mesha Rasi) : This is a tricky period as monetary gains should motivate you to work more but you will be thinking of retirement or quitting job. A business or some freelancing might be on your mind, but this is not the right time to make a move. Next 2 months will be testing time both at home and work. Taurus (Vrishabha Rasi) : Troublesome time with spouse or partner. Some of you might be afraid of secrets being exposed or caught at home. Bad time to think about jumping into new job or making any major changes at business. Gemini (Mithuna Rasi) : This is great time to strike it big and impress everyone at work. There can be some foreign connections which will trigger your interest. Big money is waiting for you during next 2 months. Cancer (Kark rasi) : Love and heart related matters can be irritating. Health of a family member, financial resources will make you worry for a while. It is better to postpone all love related matters for few more months. Female child can demand your time. Leo (Simha Rasi) : Avoid loans and new business. This simple mantra will help you keep going smoothly. Lack of proper rest and sleep will take a toll on your body. Work pressure will increase and also travelling, untimely food effects your overall health. Relations with mother can be strained. Virgo (Kanya Rasi) : This is good time for writers, auditors, publishers, travellers and administrators. Something big is coming your way, so keep the doors open. Siblings or close friends can help settle a deal. Libra (Thula Rasi) : You will be forced to take one big decision for family. Money will be spent like rain water. There is a chance for you to loose or miss a golden oppurtunity. Try to avoid taking any life changing decision for next 4 months. Scorpio (Vrischik Rasi) : Inflow and outflow of money will be balanced. There will be some dis-satisfaction regarding financial matters. There can be some pressure from a long distance associate. Next 2 months will be challenging financially. 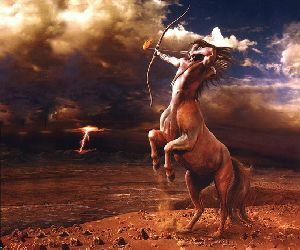 Sagittarius (Dhanus Rasi) : You may feel that neither fate nor god is with you. There can be heavy losses if invested without proper guidance. Pressure of past debts will increase. Do not take any big decision, especially regarding family or finance. Capricorn (Makara Rasi) : If looking for any stroke of luck, then something positive is coming your way. Good time to make BIG money and invest carefully for the future. If invested in any big business recently, then try to withdraw within 3 months and safeguard yourself. Aquarius (Kumbha Rasi) : Big career change can happen. Chances from abroad, good relations with parents, indulging in spiritual or religious activities, get-together with blood relations and celebrations will happen during october-november 2016. Pisces (Meena Rasi) : Time to spread your wings and explore new horizons. Your fame will reach others faster you expected. Building long lasting contacts, foreign relations, inheritence from father or ancestors, spiritual activities can happen. Also there is a big chance of transfer in present job or being appointed to a new position. Those who are born with Venus-Saturn combination in their horoscope, can certainly experience above results.